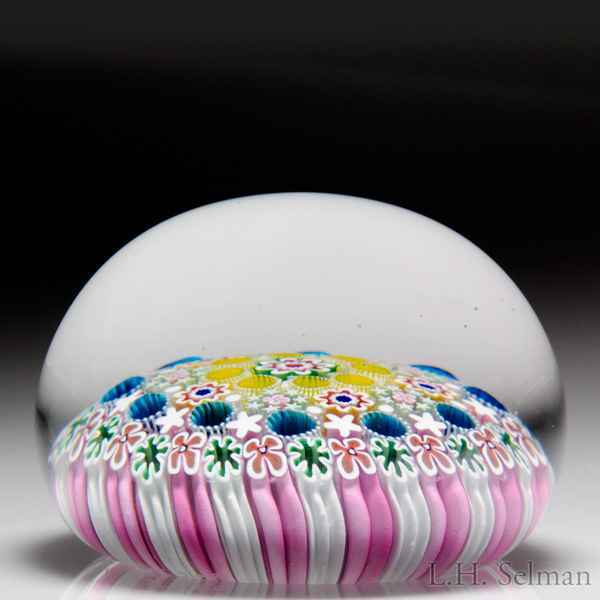 Damon MacNaught 2018 close concentric millefiori paperweight. A central pink, white and green ruffle cane is surrounded by three rings of colorful millefiori, including hollow tubes, ruffles and stars, all held within an alternating pink and white stave basket. Signature cane. Signed/dated. Diameter 2 3/4".